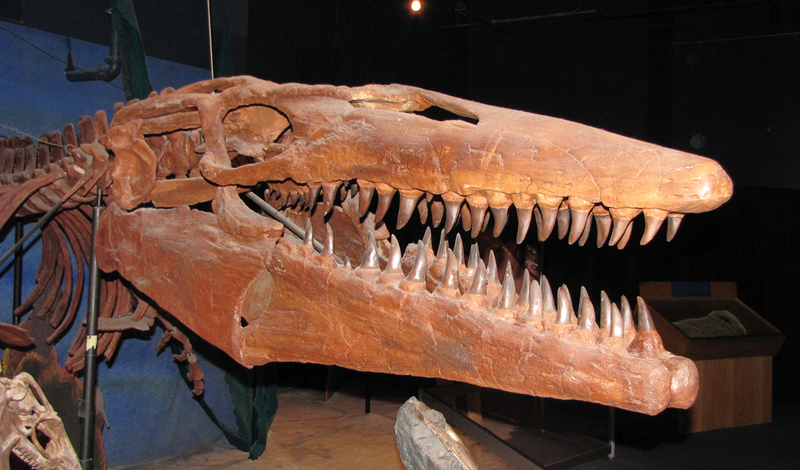 Tylosaurus skull; marine fossil symbol of Kansas. Photo by Lauren Anderson/Flickr (Noncommercial Use Permitted with Attribution/No Derivative Works). 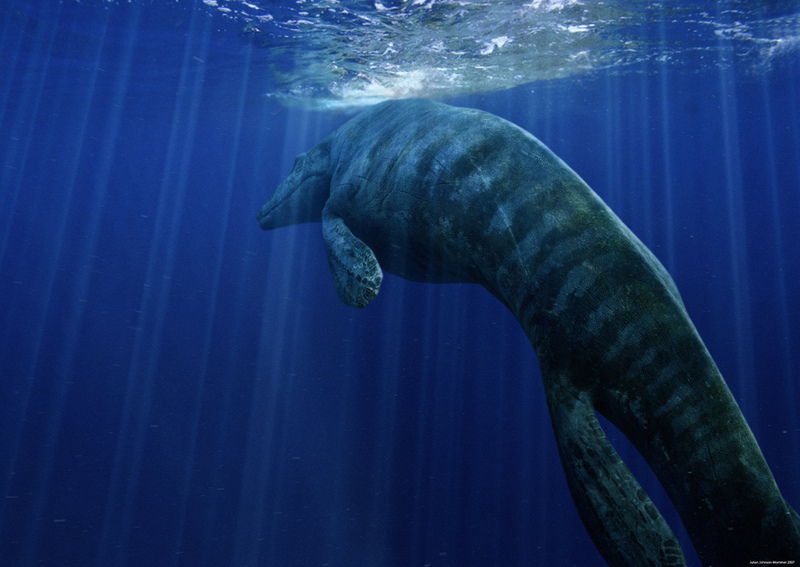 Related to modern-day monitor lizards and snakes, tylosaurus was a huge, predatory marine lizard that lived during the cretaceous period when a great inland sea covered portions of what is now Kansas. Tylosaurus; a recreation. Photo by Julian Johnson/Flickr (use permitted with attribution/share alike). 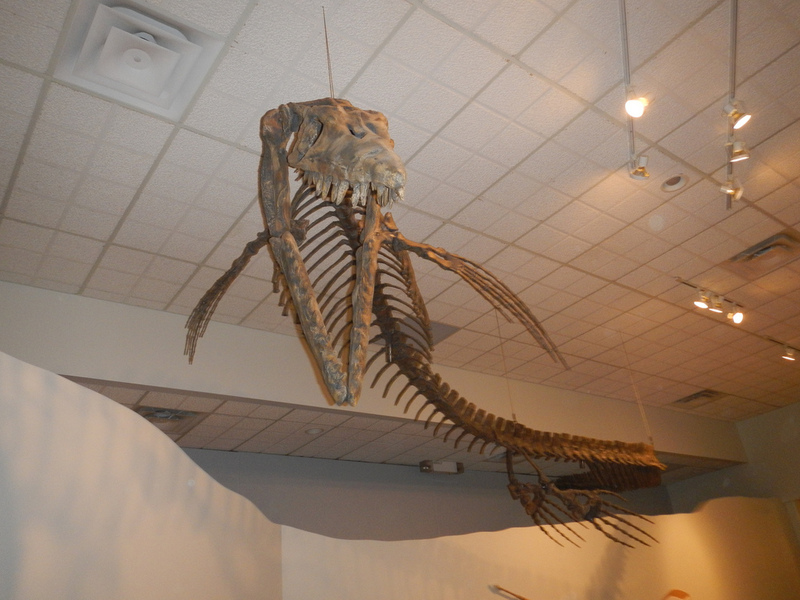 Tylosaurus; complete fossil skeleton at Swift Current Museum in Saskatchewan. Photo by Al/Flickr (use permitted with attribution/share alike).